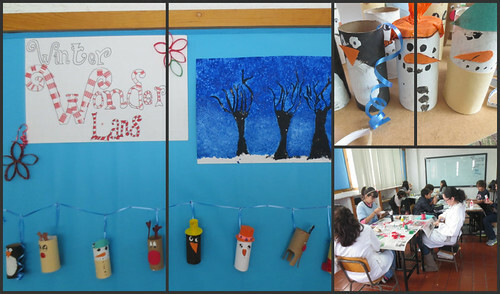 We used toilet paper rolls, paint and leftover art supplies to create Christmas ornaments. 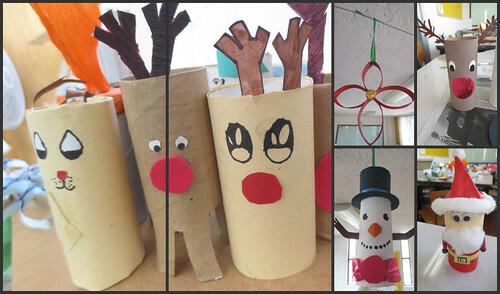 The finished products were absolutely ADORABLE! 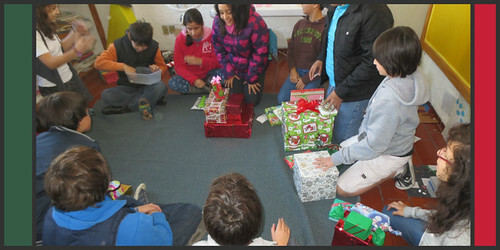 The kids DID NOT want to be miss out on giving and receiving presents, so they wanted to complete a gift exchange as well. I told them about a traditional game we played in my family around Christmas time and they were instantly hooked on the idea. 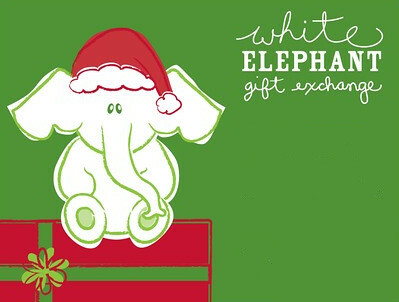 In this white elephant gift exchange, each student brought into two gifts at around $2 dollars each. 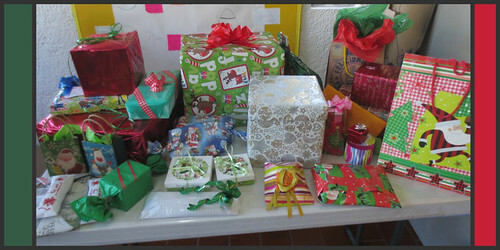 The trick was to wrap the gift as pretty as possible, so that each student would want to choose your gift over all the rest. Look at this haul! 🙂 We each took turns rolling pairs of dice until someone got doubles, then they were able to choose a present. After all the presents were gone, we set a timer for twenty minutes. During that time, any player that rolled doubles was able to STEAL a gift. Gahh! Things got a little crazy when we were down to the last few minutes, but they had a BLAST. Look at all the funny gifts. 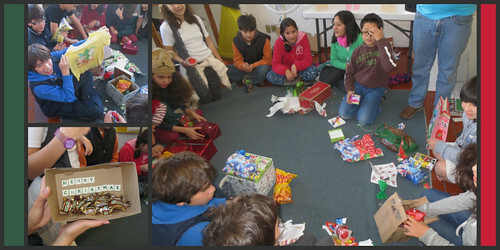 Some received chocolates, while others received soap, a box full of confetti, and dried beans! 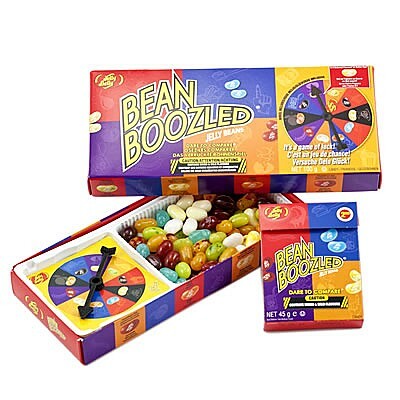 The best gift might have been the BeanBoozled Jelly Belly set I gave. I had been storing the box ever since I returned from the United States. 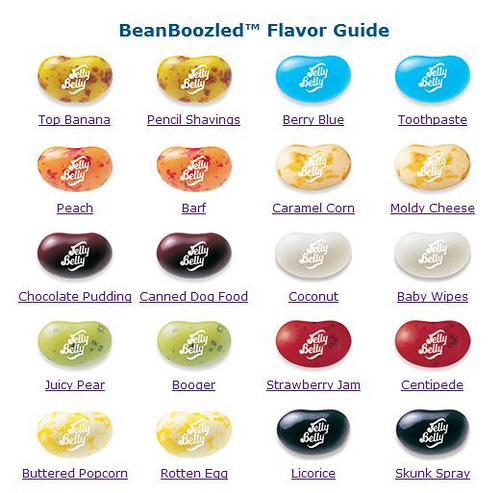 Due to the similar color and pattern of the jelly beans, you were unsure if you would be enjoying a delicious flavor or suffering through a disgusting flavor. Hah! 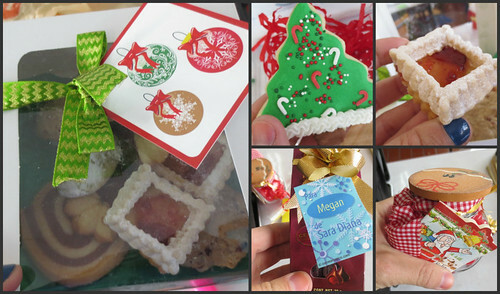 Anyway, I had to pass on those beans, but I did receive tons of super delicious treats from my students! From to homemade cookies to chocolates, this has been a week-long sugar rush. 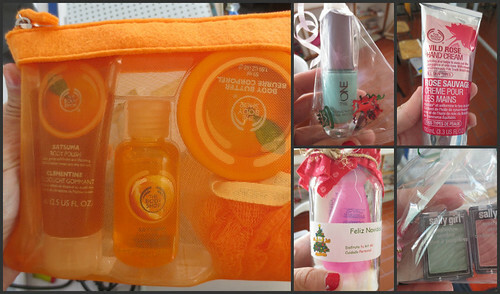 😀 Additionally, they gave very some very useful beauty supplies and heartfelt notes. Absolutely precious! 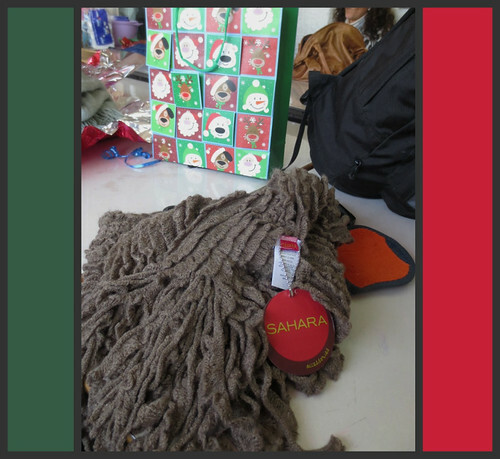 Finally, today we finished off the semester with a school-wide holiday party. We watched How the Grinch Stole Christmas and all the students brought in food to share. I have never been so intrigued and grossed out! Hah. Hot dog, ketchup, and Alfredo pasta tacos anyone? How about light-your-mouth-on-fire potato chips covered in hot sauce? No thanks…I’ll pass. 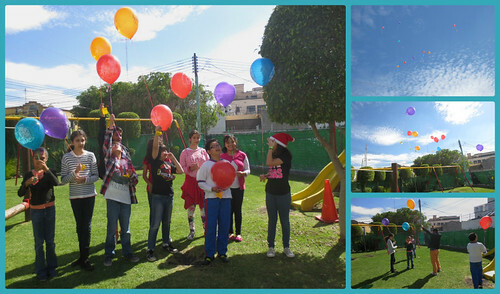 In addition to the food and movies, we took part in two Mexican holiday traditions. January 6th is Three Kings Day. This Christian holiday is widely celebrated in Mexico and commemorates the adoration of the baby Jesus by the three Wise Men. The night before Three Kings Day, children place their shoe out for the Wise Men and the next morning, when they wake up, they receive presents in their shoe. You may wonder, how do the three Kings know what the children want? A common way of sending your wish to the three Wise Men is through a balloon. 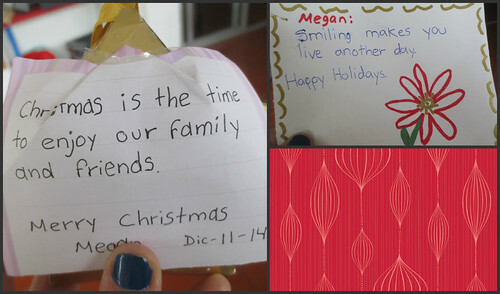 You attach a letter to the balloon and send it to heaven for the Wise Men to read. 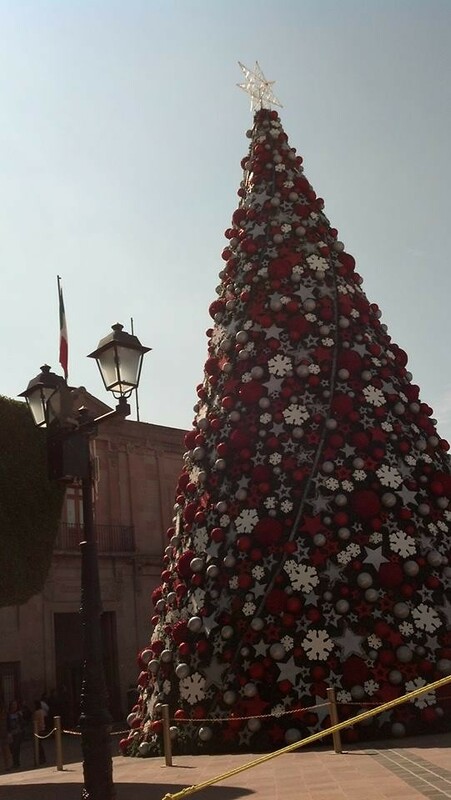 Another Christmas tradition in Mexico is breaking the piñata. 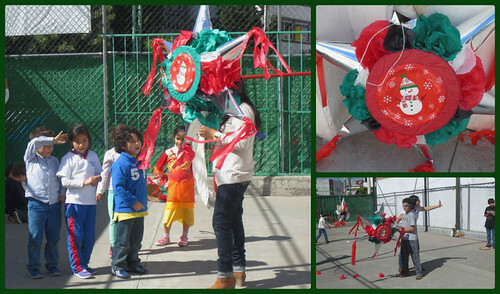 Each grade had their own piñata, so it was not unfair for the smaller children. Each child had three chances to knock it down, and when it finally broke, they all went running for the loot. There was PLENTY of candy to go around. 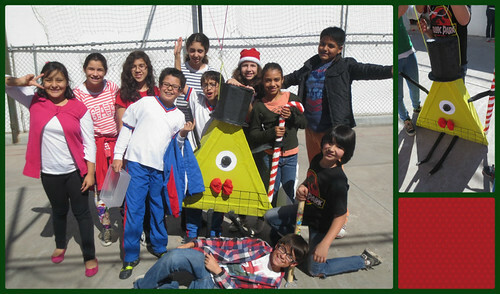 My 6th grade class even had the privilege of creating their own piñata. This is a character from the animated television series Gravity Falls. Now that the week is finished, everyone is going on a two week VACATION! Woo hoo! 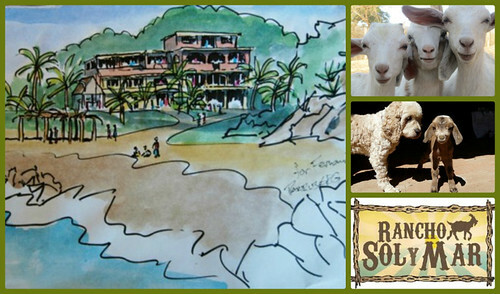 For this trip, I will be heading to the beautiful beaches of Puerto Vallarta and Jalisco.